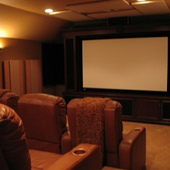 Instead of attaching to a wall, baffles are suspended from high ceilings. Baffles are often used in auditoriums, gyms, sports arenas, commercial/industrial buildings, and other large spaces. 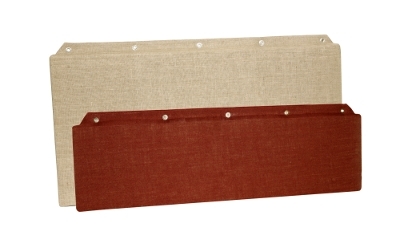 Baffles are more efficient than wall panels because both sides of the baffle absorb sound. 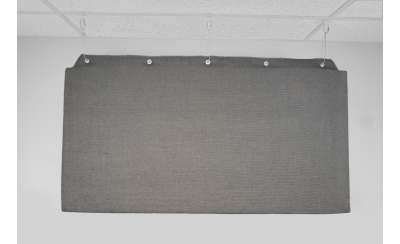 ATS Acoustic Baffles are built around an aluminum frame, just inside the fabric. This frame ensures crisp, square edge lines that last. Other baffle designs look like bags or pillows over time, that won’t happen here. The frame also provides superior durability and resistance to damage during and after installation. Occasional high-flying basketballs? No problem. Core material is 6 lb. per cubic foot mineral wool board. Many other baffles are built around 1 or 2 lb material. This extra density provides superior sound absorption performance especially at low frequencies. Noise Reduction Coefficient (NRC) rating of 1.52. This high NRC rating means fewer baffles are required to achieve the desired sound in your space. What a difference! Aesthetically the room feels warmer. Acoustically it plays more naturally.